Gytha of Wessex and the Rise of the House of Godwin – History… the interesting bits! Pingback: Gytha of Wessex and the Fall of the House of Godwin – History… the interesting bits! Great and Intruiging Historical Essay, Lady Sharon! Far Better Style and, Longer and More Interesting than Wikipedia! I Love pre-Conquest Anglo-Saxon History Far More! It was a More Free and Liberal Age! 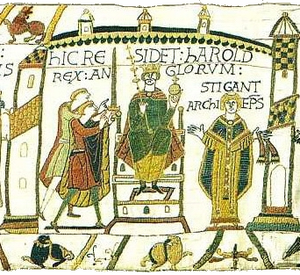 King Harold Godwinson would Have Reigned in a Golden Age of Culture and Glory and He Would Have Abolished Slavery! He Would Have Built More Anglo-Saxon Castles (They Were 6 in 1066) and Composed Great Epic Anglo-Saxon Poetry of the 1066 Campaign! He Was a Great, Beautiful and Gifted King, Commander, Orator, Speaker and Singer! I Love Queen Edyth of Mercia and Queen Edyth Swannesha! 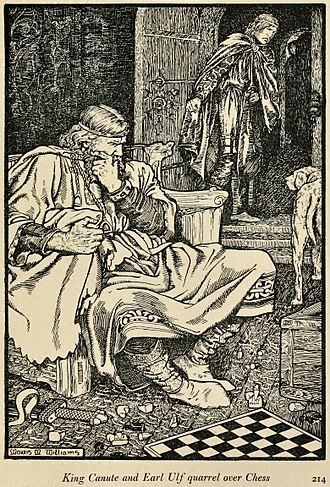 King Harold Had Two Queens like Beowulf! Tell More about Them and Him, that is the Greatest and Most Gothic English Epic! Even if You Have to Invent Stories! 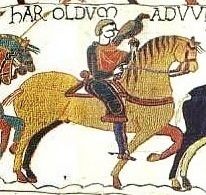 The Lack of Information about Queen Edyth of Mercia, Queen Edyth Swannesha and the Anglo-Saxon Period is Due to Norman Cruelty Regarding Retaining the Sources and Keepings the Positions of Anglo-Saxon Noble Men and Women! 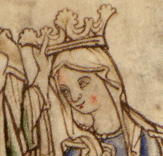 Queen Edyth of Mercia and Queen Edyth Swannesha were both Very Beautiful and Wielded Anglo-Saxon Magic and Fought Each other as Witches for the Heart of King Harold Godwinson! Hail Anglo-Saxon England! Hail Victory! Thank you! It was certainly a golden age and such a shame that we lost so much of it after the Conquest. Best wishes, Sharon.